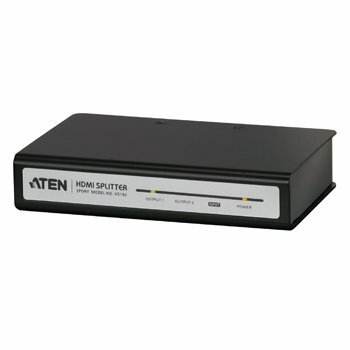 The Aten HDMI-USB extender set uses two UTP CAT5e / 6 cables to extend the HDTV display up to 40 meters for a video resolution of 1080p, or 60 meters with 1080i HDTV, as well as to extend a USB device such as a mouse. 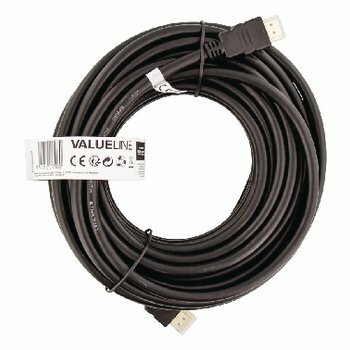 CAT5e / 6 cables have a larger transmission range than HDMI cables and offer more flexibility and convenience in cable construction. 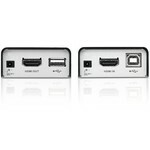 The extender has HDMI connectors and supports DVI devices with an HDMI to DVI adapter. 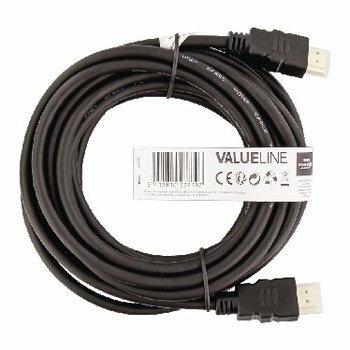 This will expand the possibilities for multiple home theater components. 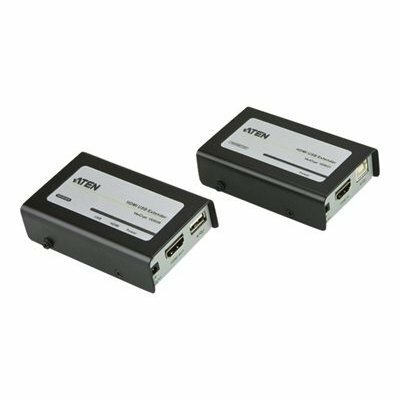 Aten HDMI-USB extender set is toegevoegd aan uw winkelwagen!